Hi there, I’m Katie and I’m Your Thyroid ND. I am a Naturopathic Doctor with a clinical focus in thyroid conditions, and Hashimoto’s Disease. I help frustrated and fatigued women finally feel like themselves again, so they can get back to what truly matters. 1 in 8 women will be diagnosed with a thyroid condition in their lifetime. A year into my practice I discovered that I was one of those women, and was diagnosed with Hashimoto’s Disease. Along with many of my patients, I understand the vital role the thyroid plays and what can happen when it’s not optimal. Since then I have invested much of my time into courses, research, and clinical trials to learn everything I could about the treatment of thyroid disorders beyond “just take this medication”. I can’t count the number of women who come into my office with a similar story. It goes something like this: they were diagnosed with a thyroid disorder, told it was an easy fix, given medication, and went on their way. Many years later, these women continue to struggle with symptoms like fatigue, weight gain, chronic pain, digestive issues, low mood, and more. They’re told their thyroid levels are “normal” and to simply exercise and eat better, or offered other medications like antidepressants. If this sounds familiar to you, let’s talk. If you’re feeling frustrated, ignored, and looking for answers, you’re not alone. When we start to work together we will do a thorough intake that covers your concerns in addition to any important health history, blood work, and physical exams. We may also start with some basic recommendations at this time. In 1-2 weeks we will meet again to go over findings and put a plan in place that works for you. The thyroid is a complex hormonal organ, and most often the problem is not with the thyroid gland itself. As a Naturopathic Doctor, my job is to get to the root of your concerns and provide you with a comprehensive plan to address your whole self. In addition to thyroid conditions, I also enjoy working with many other health concerns including other hormone imbalances, bio-identical hormones, and general women’s health. If you are looking for a deeper understanding to your health and are willing to take part in the process, I would love to meet you! Dr. Rothwell offers 30-minute Complimentary Thyroid Consults to discuss your case and her unique approach to thyroid healing. You can also visit our thyroid page or blog for more information, articles, and resources. Dr. Rothwell is a licensed Naturopathic Doctor through The College of Naturopaths of Ontario. After completing her Honours Bachelor of Science degree at the University of Guelph, Dr. Rothwell went on to complete a four-year degree at the Canadian College of Naturopathic Medicine (CCNM). Since graduation, Dr. Rothwell has attended countless hormone therapy conferences, seminars, and trainings. Among her colleagues, she is considered an authority on thyroid physiology, the use of Natural Desiccated Thyroid (NDT) and consults regularly on difficult cases. 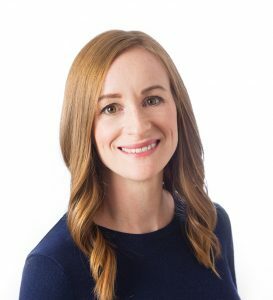 She is an active member of both the Ontario Association of Naturopathic Doctors and the Canadian Association of Naturopathic Doctors.